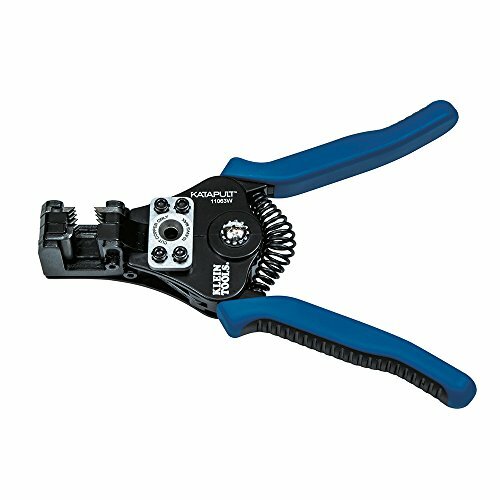 Nothing could be more versatile than the Capri Tools 20013 Professional Wire Stripper and Cutter that has a built-in wire cutter and screw shearer. Its serrated nose pulls, shapes and bends wires according to your end. 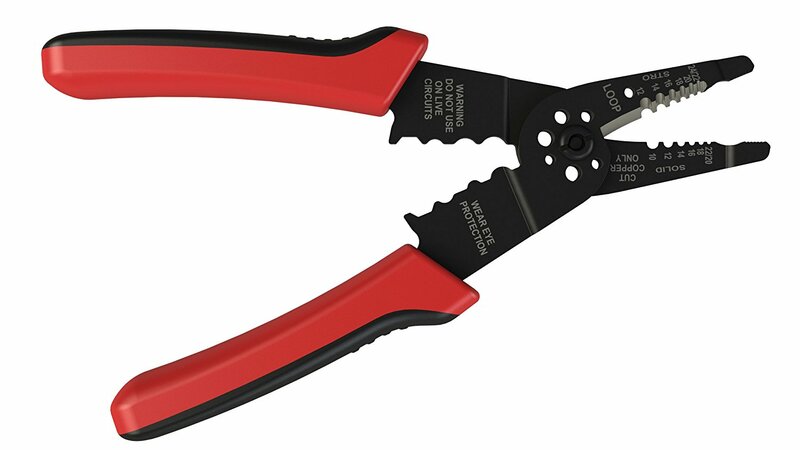 Ergonomic, lightweight and compact, this could be one of the best wire strippers yet. 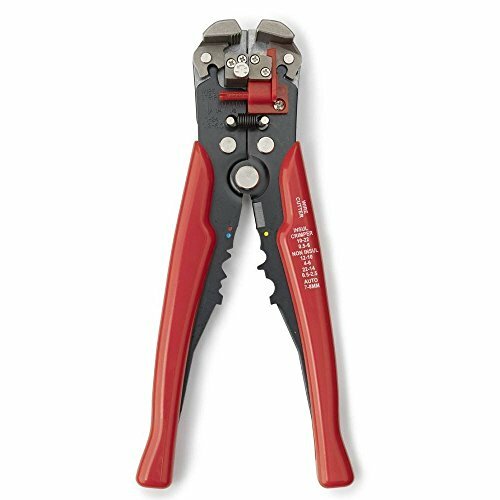 Designed for precision, the Klein Tools 11063W 8-22 AWG Katapult Wire Stripper lets you strip electrical wires without the risk of damaging the outer strands. Simply choose the right size hole and you get a clean strip every time. Its sturdy construction is definitely worth boasting about – recoil spring design, cast alloy chassis, compound action stripping, tension loaded wire grip, and precision machined stripping hole. 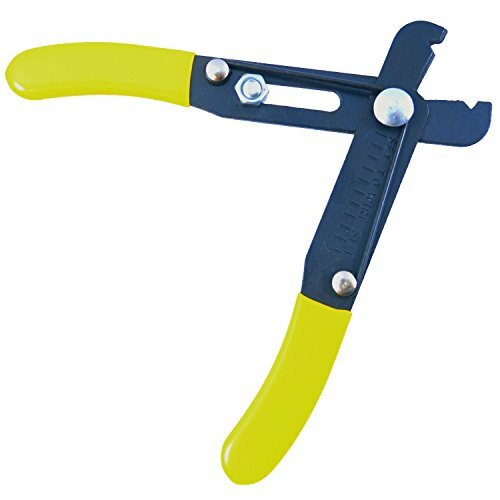 With the IRWIN VISE-GRIP Self-Adjusting Wire Stripper, 8", 2078300, you can strip wires ranging from 10-24 AWG, and even micro-adjusts with the built-in swivel knob. What is even better is that it comes with an adjustable stopper that lets you control how long the core strip is. It also comes with a wire crimper that crimps wires with different gauges of insulation – 10-22 AWG insulated and 10-22 AWG non-insulated. Don’t be deceived by it seemingly simple appearance, the Best Wire Stripper (CARBON STRENGTH STEEL) 5 Inch & Rust Resistant – 10 to 24 Guage Wires can strip wire insulation from #24 to #10 gauge without damaging the wire itself. Built to last a long time, it is made of heat-treated carbon steel and finished with rust-resistant black oxide. 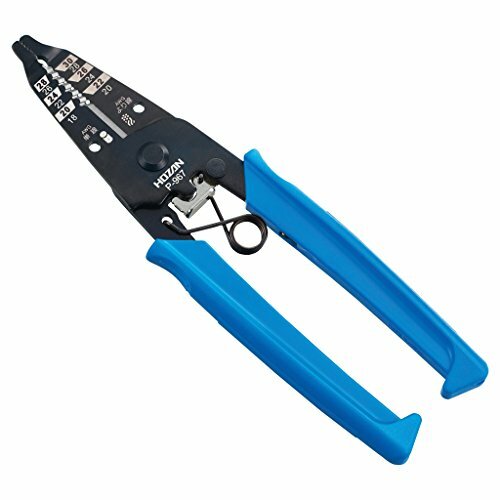 The best wire strippers can strip both solid and stranded wires, and Hozan P-967 Wire Stripper is no exception. It can handle an insulation gauge of AWG 28/26/24/22/20/18 and AWG 30/28/26/24/22/20. It features an ergonomic design, sharp and operates smoothly. Specially designed and precisely machined teeth grabs, holds, pulls and removes outer jacket in a simple one-handed motion. 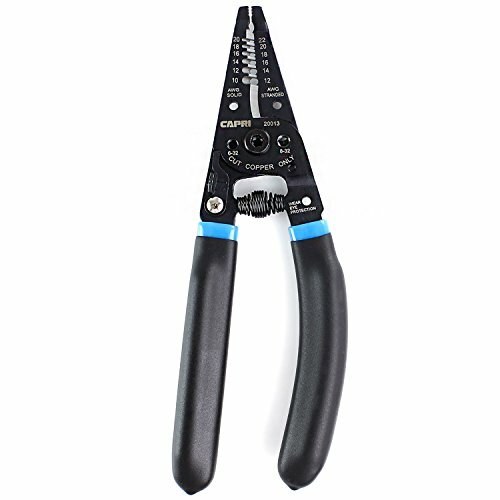 Adjustable gauge/stopper controls the length of core wire from 1/4 to 3/4"
A wire stripper and crimper in one, the Neiko 01924A Self-Adjusting 3-in-1 Automatic Wire Stripper, Cutter and Crimping Tool makes cable and electrical work quick and easy. Use it for both aluminum and copper wire. It comes with a thumb-wheel for micro adjustments, making it easy to deal with smaller gauge wires. 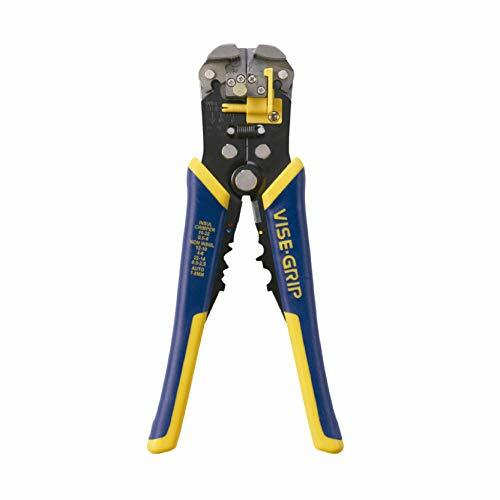 The crimper can handle 10-22 AWG insulated, 4-22 AWG non-insulated, and 7-8 mm auto ignited terminals. 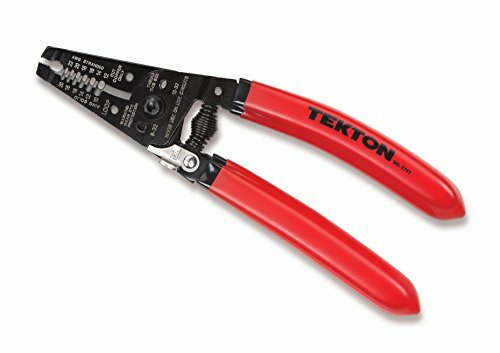 Apart from stripping solid and stranded wires, the TEKTON 3797 7-Inch Wire Stripper/Cutter also cuts screws with sizes #8-32 and #10-32. It has looping holes for easy bending and fitting of wire ends around screw terminals.